Thanks to The Fair Wind and all for a fine Open stage on October 19th. For more information about The Fair Wind check out our previous post and performers pictures and their site: https://www.thefairwind.com/. We’ll be back on Friday November 16th with Bob and Sue, “The Pluckin’ Cutlers to start the evening off with a feature set. On Friday December 15th, 2017, Markus Michelucci started off the evening with a feature performance of his original songs. It has been a while since we have seen or heard from Markus who has been in Europe with his group, Sound Refuge” Markus Michelucci & Sound Refuge perform at festivals and events throughout the UK such as Barnival, Greenwich Tall Ships Festival. We are glad that he agreed to do a set for us during his visit back to Canada. After the feature set, we had a full open stage, including some collaborations, some seasonal songs and a “newbie”. We also took a short break from the music, cookies and sweets to hand out some door prizes. After the Open Stage performers has all completed their songs Markus closed out the evening with a couple of seasonal numbers. We’ll be back on Friday January 19th for the next Black Walnut Acoustic Open Stage which is planned to be all Open stage. On Friday December 15th, 2017 at 8pm we will be back at the Mill Courtland Community Centre for our monthly Open Stage. Markus Michelucci will be back to start off the evening with a feature performance. It has been a while since we have seen or heard from Markus who has been in Europe with his group, Sound Refuge” We are glad that he has agreed to do a set for us during his visit back to Canada. “Led by Canadian Markus Michelucci, Sound Refuge is an eclectic mix of performers who come together to play engaging, thoughtful folk music from the calm and reassuring to the passionate and cerebral. They create an alluring world of instrumentation with powerful lead moments, harmonies and hopeful, inspiring lyrics. Often likened to Cat Stevens, James Taylor and Passenger. Our Code of Conduct and other details are outlined on our About Page. The parking is free at the back of the Mill-Courtland Community Centre and admission is still $3 at the door. the facility is wheelchair accessible, alcohol, smoke and peanut free and every show is different. If you don’t come, you’ll miss it. The next open stage will be January19th. Here we are at the start of a new season. 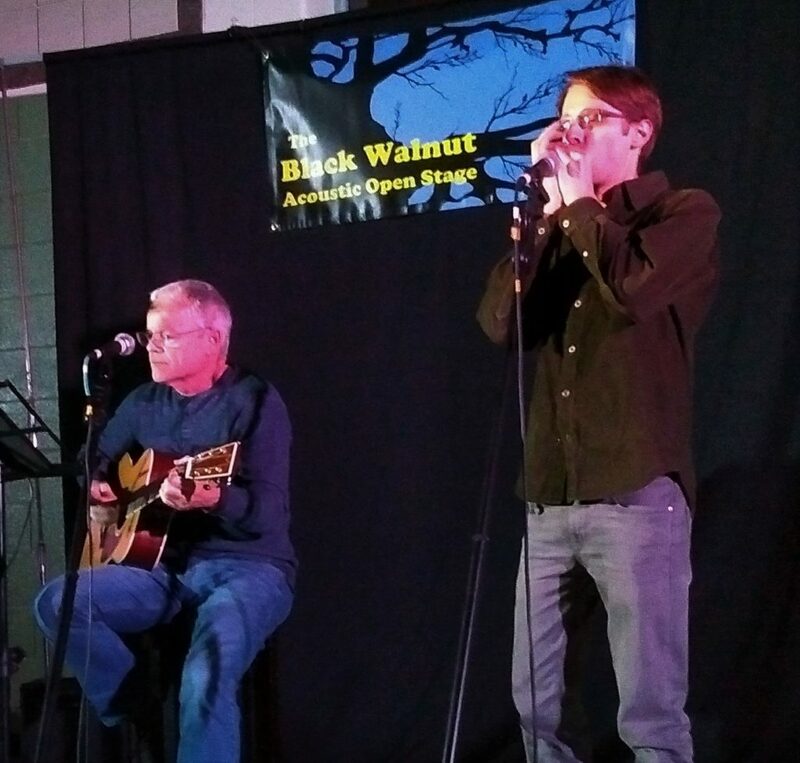 On September 1st we posted a new Code of Conduct for the Black Walnut Acoustic Open Stage. We did that because we need it to continue with our event. This has been prepared in consultation with the Mill Courtland Community Centre and the Cedar Hills Community Group. On September 9th we made two small revisions, one to allow for any future change in the admission fee and another to clarify that we do take photos during our event. If you ever feel that you have been subjected to behavior that is offensive or which does not comply with the Code of Conduct please feel free to advise one of us who are presenting the program for that evening or you may contact the Community Center directly, if you prefer.